We would be happy to arrange a visit to Baumhaus 1 with you and will be available for a non-binding consultation. Here at treehouses, everything comes from a single source. At the beginning, I breathe in the natural environment of the location and let it sink in. This is how concrete visions of the most exciting possibilities of how to construct the stairs, the platform, or the hut take shape. 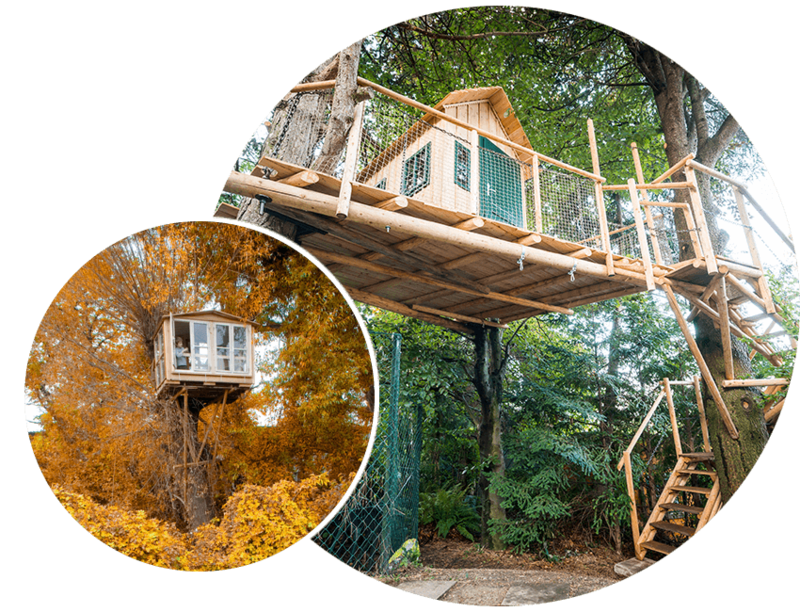 After communicating these visions to the clients, we – the ‘treehouse pros’ – begin to attach bare larch poles within the treetops, treating the trees as gently as possible. 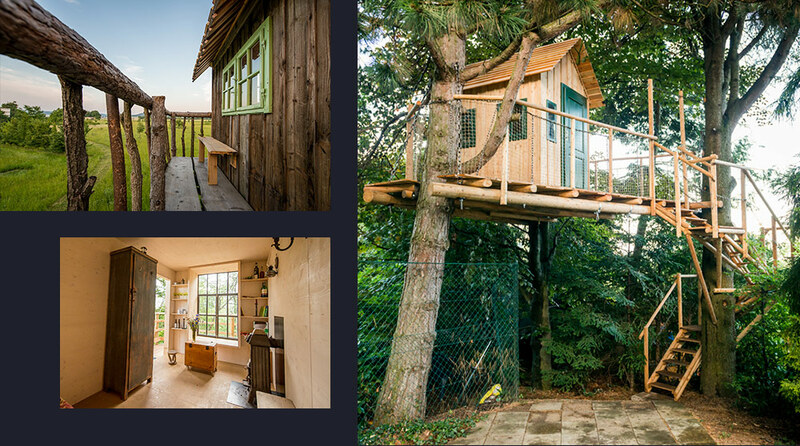 It is only after the completion of the stairs and the platform that we construct the treehouse as such in our workshop; we then take the parts of the treehouse to the platform and finally build it there. We frequently use recycling materials, such as old factory windows or doors, or other found treasures like driftwood or vineyard poles. A personal conversation is always a good idea and the best start for successful cooperation. Use the contact form, mail us or call us. A personal conversation is always a good idea and the best start for successful cooperation. Use the contact form, mail us or call us.